The clocks have changed and the evenings are dark, Winter is very much on it’s way and those hazy sunny days and evenings are a distant enemy. 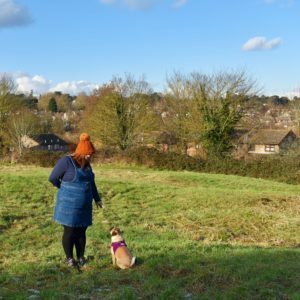 I’m not a fan of the dark evenings – they are long and gloomy and there isn’t much to do apart from watching TV, reading, and, well, staying in. Of course it means I can tuck into the festive flavours of gin that are popping up in my local supermarket but it also signals the return of weekend games’ nights – hurrah. Me and the hubs love a board game – we don’t get the chance to go out child free very often so we love a night in with a few drinks and a couple of games. I was sent Pointless to review and so last weekend after the small one was shipped off to bed we settled down to give it a whirl. Alongside a couple of rhubarb gins, of course. 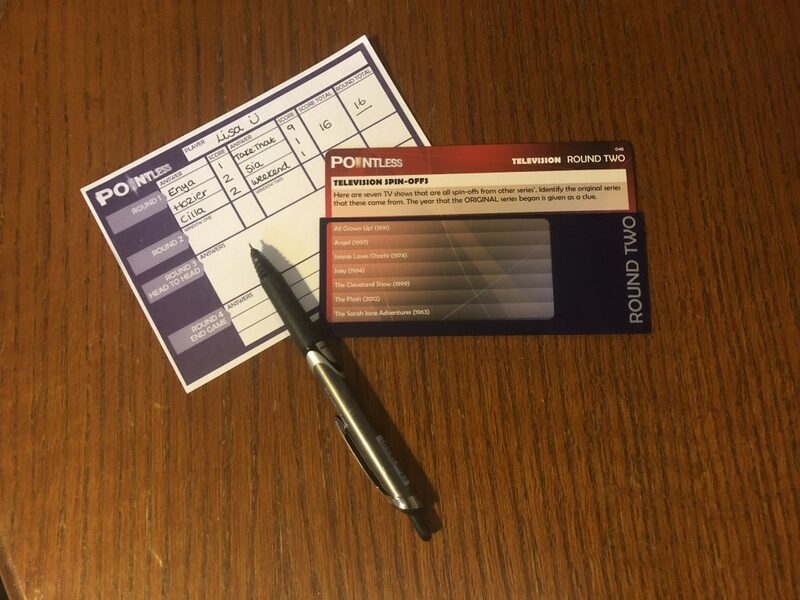 Pointless is a BBC TV quiz show which I’ll admit baffled me as much as Deal or No Deal did for years until someone explained it to me – each question has been asked to 100 people surveyed who are then asked to give as many correct answers as they can within 100 seconds. Each question has numerous possible answers and any correct answer that has low or zero points(because few or no one remembered it) are ‘pointless’ answers and that’s the aim of the game. For example – if the question asks you to name a single by a well-known pop band, a popular hit would be a bad answer yet a long-lost song that no one remembers would be golden. The lowest scorers are the biggest winners! 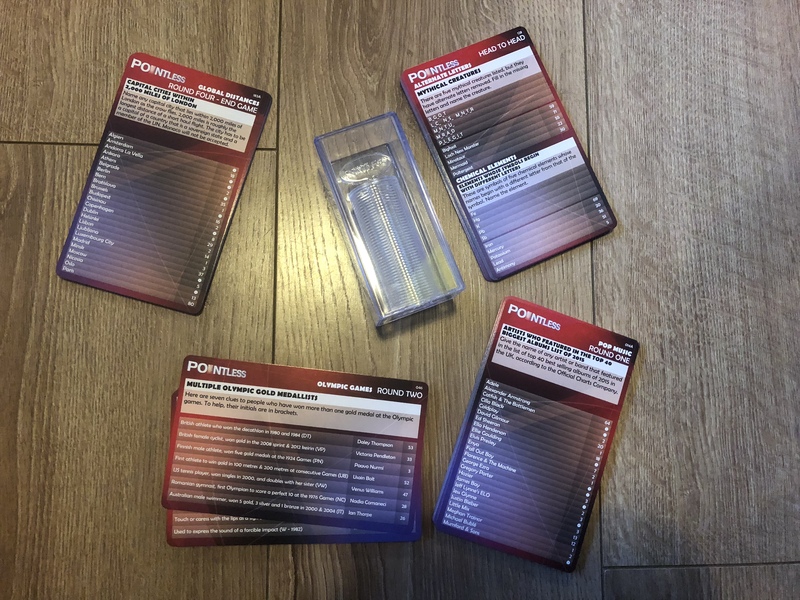 The box contains a trophy, question cards and holders, score sheets and instructions. 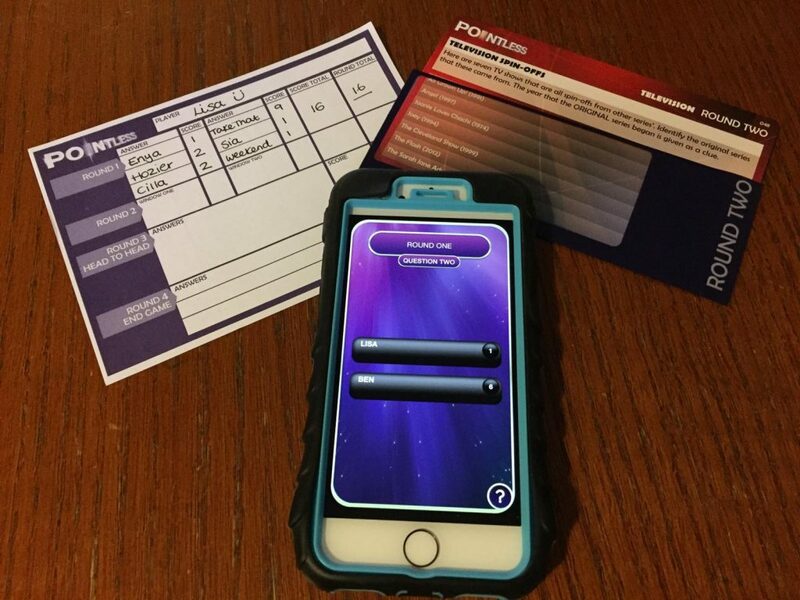 You can also download the Pointless board game app(available on iOS and android) which keeps score and counts down like the TV version. 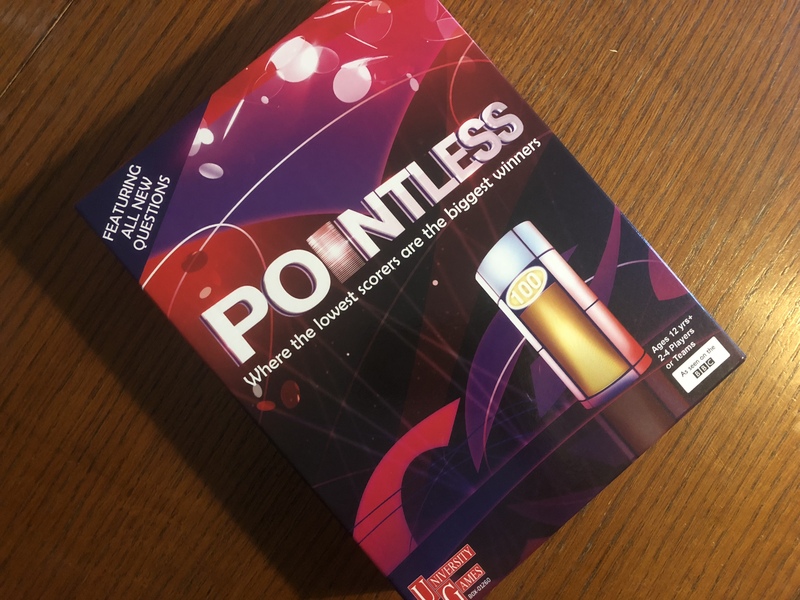 Pointless is suitable for ages 12 years and over and for 2-4 players, you can always split more players into teams if you needed to. 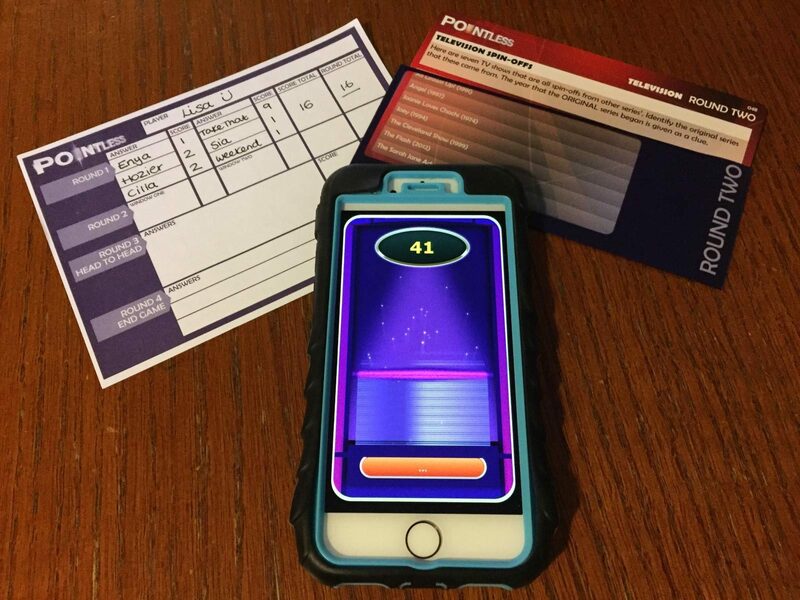 After downloading the app and entering the players/team names then that’s about it as far as set up goes – one person needs to be the Question Master, however this person can still play as the question cards are placed in holders that obscure the answers. Previous versions of this game have looked a little complex and fiddly but this all-new version is super simple. There are four rounds – rounds one and two, head to head and the end game; and the last team standing can win the jackpot* if a pointless answer is given. We had lots of fun playing this game – I love anything that involves a bit of trivia and the added spin of trying to find the obscure answers makes it really interesting. We played fine as two people but more players would possibly work better. It’s a good little game and we’ll definitely play again. 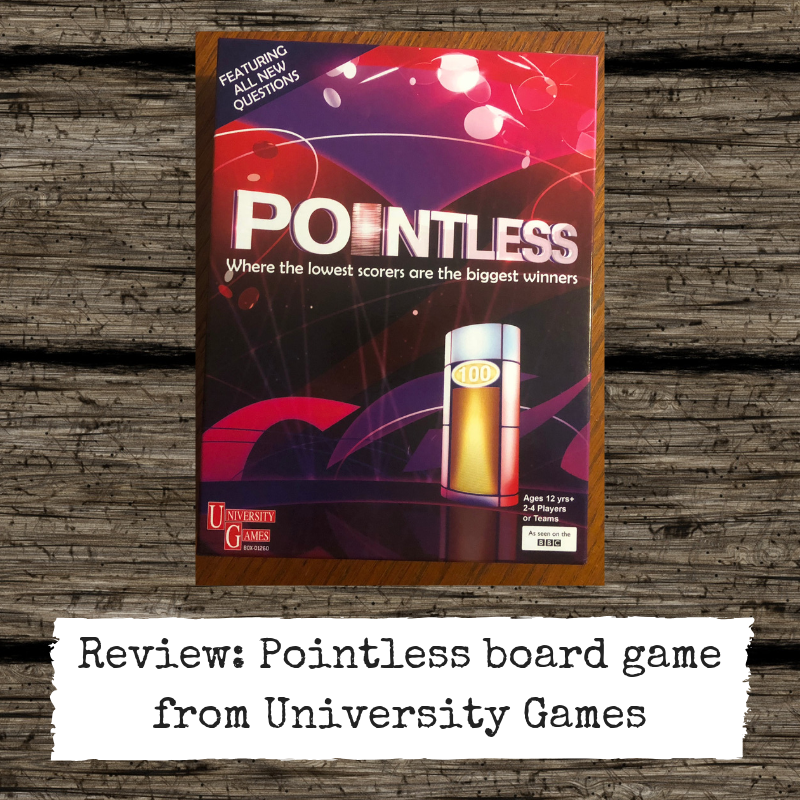 You can find more information on Pointless on the University Games website here.